Paul Douglas (’19) is majoring in economics with minors in mathematics and statistics. It wasn’t until his first year of college, at American University, that Paul discovered his passion for economics. Furthermore, this discovery prompted him to switch his major to economics and transfer to Wake Forest University, in search of a rigorous education in the discipline. His deep interest in understanding the sources, consequences, and nuance of economic shocks and the role central banks play in an economy’s response to such phenomena only serve to confirm his primary interest in macroeconomics and monetary economic theory. During his time here, so far, Paul has served to enhance his knowledge within these sub-disciplines by conducting personal research on the Great Depression, participating on the College Fed Challenge team, and serving as a Research Assistant for Dr. Sandeep Mazumder. Alongside his passion for economics, Paul’s desire to help others understand the nuances of economic theory has prompted him to serve as a Teaching Assistant for Introduction to Economics, with Dr. Robert Whaples, and Intermediate Macroeconomics, with Dr. Allin Cottrell and Dr. Sandeep Mazumder. Finally, Paul hopes to tie his academic studies and variety of extracurricular activities together as a precursor to graduate studies in economics and a career as a professor of economics. Rebecca Glass (’19) is an Economics major with minors in Dance, Chemistry, and Biology. 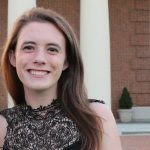 Considering she had not taken an economics course prior to her undergraduate career, she never imagined wanting to pursue economics at Wake Forest. However, after she took the Introduction to Economics course with Dr. Whaples, she was enthralled with the field and its extensive scope. In addition to economics satisfying her desire to engage in a study that uses analytical problem solving to study human behavior and activity, she considers the faculty in the department to have made a lasting impression upon her. 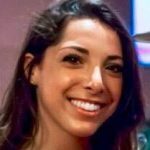 Being a premedical student, she believes her choice to become an Economics major has been one of the most challenging, yet rewarding, academic decisions she has made. She looks forward to applying her economic insight as a practicing physician in the future. On campus, she is a member of Momentum Crew, Alpha Epsilon Delta (a premedical honor society), Take the Fight, Kappa Delta sorority, a tutor for the Student Athletic Department, and is involved in a research studying dietary mitigation of psychosocial stress effects on Cardiovascular Disease risk in female primates under Dr. Thomas Register. Emma Hughes (‘19) is an Economics major and Environmental Studies minor. She decided to become an economics major to effectively consider topics such as environmental policy and how it might impact different parts of our communities. Her interest in economics was further solidified by Dr. Jac Heckleman’s Theory of Social Choice course and Dr. Frederick Chen’s Microeconmics course. In the future, she hopes to use her understanding of economic principles to develop effective and equitable environmental policy to improve our global community. On campus she is the Greeks Go Green intern in the Office of Sustainability and a member of Alpha Delta Pi Sorority. 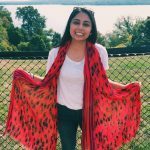 Sanaa Jain (‘19) is an Economics and Politics & International Affairs double major from Canada. She is fascinated by economic research and the applicability of economic theories to politics and society, and has enjoyed various classes in the department, especially Econometrics with Dr. Griffith and Intermediate Microeconomics II with Dr. Burkett. On campus, she is a member of the Honors and Ethics Council and a Tour Guide, and in her free time, she enjoys watching rowing and reading Freakonomics articles. After college, she plans to pursue a Master’s in Economics along with a Juris Doctorate in Law. Anna Claire Tucker (’19) is an Economics major with minors in Politics and International Affairs, and History. Coming into Wake as a Freshman, she had no idea what she wanted to do. She decided to take an Introduction to Economics class with Dr. Curtis, and realized that the subject intrigued her. After taking Macroeconomics as well, Anna Claire declared a major in Economics. She really likes Econ because it is so applicable to daily life and real world current events. Additionally, there are so many subtopics in Economics to learn about; she is particularly interested in Social and Behavioral Economics and plans to take a class or two on that this coming year. 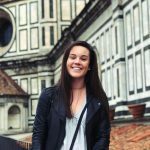 This past summer, Anna Claire has had the privilege of working as a Data Strategy Intern at eVestment, and hopes to continue her studies through a Juris Doctorate program post-graduation. On campus, she serves on the Wake ‘n Shake Exec Team, and is the Vice President of Organization for Kappa Kappa Gamma. She is looking forward to being a Senior and seeing what the coming year will hold! 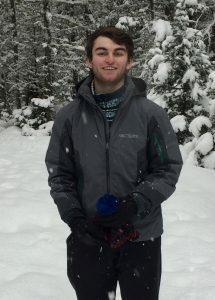 Alex Cohen (’20) is a double major in Economics and Politics & International Affairs with a minor in Statistics. His interest in poverty and foreign aid has driven his interest in economics. The main impetus for his decision to major in Economics was Professor Cottrell’s macroeconomics class and Dr. Griffith’s econometrics class. Their classes pushed him to become a better student, while deepening his love for economics. During the summer of 2017 he interned for a law firm in New York, and this summer, 2018, he is studying Joseph Schumpeter in Vienna with Dr. John Dalton. On campus, he is the treasurer of Alpha Phi Omega, as well as, the treasurer for club squash. He is an active member in the Student Fund and will be a Student Adviser this up coming fall. Outside of Wake Forest, he has volunteered for the Special Olympics for several years. His work with the Special Olympics has shaped the person he is today in many ways. 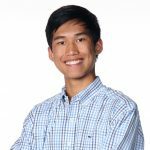 James Lee (’20) is a double major in Economics and Physics. Driven to better understand the world, he instantly fell in love with how Economics explains the “why” behind human actions on a microscopic and macroscopic scale. In the past, Lee has conducted research on front-end debt-to-income ratios immediately before the Great Recession and is currently a member of the College Fed Challenge team. Additionally, Lee conducts research in Organic Electronics and is a member of Sigma Pi Sigma and the Mixed Martial Arts club. Lee’s favorite book is Freakonomics and he is a regular listener of Freakonomics Radio. He has also studied abroad at Wake Forest’s Casa Artom in Venice, Italy, as well as at National Cheng-Kung University under the Taiwan-US Alliance Scholarship. This summer, James plans to study Mandarin Chinese at Soochow University under the Critical Language Scholarship. 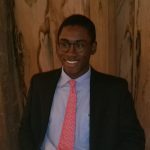 James Ridgeway (’20) is a double major in Mathematics and Economics with a minor in Computer Science. He was drawn to Economics after taking Dr. Whaples’ Introductory and Environmental Economics classes. He is interested in using math within economics to explain and solve real world problems. His desire to fix these problems led him to work with our Engineering Department to research the industrial uses of bamboo on the Walter Bradley Grant. He will also attend the London School of Economics where he will take Macro during the summer of 2018. On campus, he is an Outdoor Pursuits leader, the rush chair/warden of Alpha Kappa Psi business fraternity, and a Residential Advisor. Amanda Wilcox (’20) is an economics major with a minor in history. 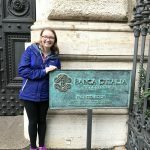 Much to the chagrin of her economist father, she was initially resistant to the idea of studying economics, until a life-changing AP Economics teacher bit her with the bug (shout out to Mr. Orzel). She loves the way that economics explains how people think and how the world works, and as a political junkie, she is interested in its applications to public policy. She especially loves monetary policy and macroeconomics and is a member of the College Fed Challenge team. In terms of her historical interests, she has specialized in the American Revolutionary era. On campus, she is Online Managing Editor of the Old Gold & Black, a weekly political op-ed columnist, an active member of the club swim team and a President’s Aide. She also interned for two summers at the PBS NewsHour, researching state voting laws and budget reconciliation, and is interning at the Council of Economic Advisers for the summer of 2018.